We are excited to finish the final copy of our first research essay of the year! All students are writing a paper that focuses on their social studies works. Over the past few weeks we've used historical documents to discover fascinating facts about the American Revolution, World War I, and various European countries. The students followed the writing process to draft, edit, and create a final paper. 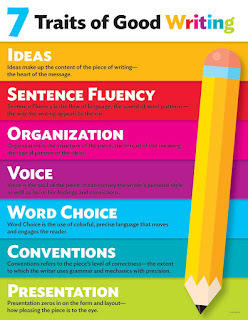 Special focus was placed on the seven traits of good writing. These works will be shared with families at our first parent/teacher conference.